This company owns a number of other brokerage sites, including 1LotSTP, 1PipFix, 2PipFixed, 4RunnerForex, and LoyalForex. FX Systems did not process my full withdrawal. I am not the only victim. - 8 June. I requested to withdraw most of my balance. On the same day, there was a reply from FX Systems saying that they have received the request and they would follow up. - 17 June. There still no progress. I updated my ticket and tried to reach my VIP account manager. FX Systems just ignored my ticket, and my VIP account manager disappeared. - 19 June. I requested for full withdrawal instead of partial. - 20 June. After many tickets and complaints and warnings to FX Systems, their account department replied me and told me my account was red flagged for suspicious activity, and it might have been a mistake. I replied and asked for more details and by when it could be solved, no reply from their account dept. - 21 June. I submitted a claim on NFACS.org. - 23 June. FX Systems sent me an email from a Gmail account telling me that they were conducting investigation into their accounting department, and asked me to wait. I requested them to process my withdrawal before they do their own internal investigation. - 24 June. FX Systems replied and asked me to wait again, no specific date was given. On the same day, NFACS replied and acknowledged they received my claim against FX Systems, and told me they would investigate. - 3 July. NFACS replied that initial investigation was done and FX Systems had reasonable excuses, more time was needed for further investigation. - 5 July. NFACS replied saying the investigation was completed and FX Systems admitted to owing me money. They advised me to open OKPay account and FX Systems would make first payment to my OKPay account. I opened OKPay on the same day. - 9 July. I received USD $ 6000.00 from FX Systems. After that, there was neither any further payment from FX Systems nor any news from NFACS. - 26 July. NFACS replied and mentioned they did not get any answer from FX Systems regarding next repayment date, I have to wait again. - 31 July. I sent emails to FX Systems & NFACS, no one replied. 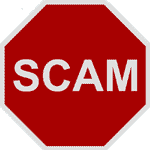 Dear traders stay away from this scammer Fx Systems ! FXSystems failed to honor withdrawal request for US$1,890.64. First they prevented my access to the account. Then they said their was no such account. Then they said the located it and would reopen it. Then they instead opened a new account with zero balance. Then they said I could not prove a current balance although I provided the last statement available from when I last had access. FXSystems no longer accepts U.S. resident accounts. Many brokers left the U.S. to avoid U.S. regulations designed to protect investors. Thus, the brokers had to liquidate and refund those clients funds or transfer the account to a U.S. broker. FXSystems apparently just closed the accounts and kept the funds. Also, FXSystems failed to respond to a request for their dispute resolution procedures. They failed to respond to a complaint sent to the email listed as their dispute resolution contact addresss. I am involved in FXSystems brokerage house from three months and I have joined there system with creating account with 1LOTSTP broker. This broker has fast execution and good customer support. As a duel citizen, I have a trading account with one of FXSystems brokerages. I believe the execution here is one of the best and very satisfied with the withdraw process being easy and always done within a day or two. There is always a good promotion going and spreads are quite low. 1lotstp is the best broker for me,been trading with them for like 8months,and i have been so satisfied since i started with them. Had to wait 3 weeks before they processed my withdrawal. Other than that ok. I signed up after a several recommendations from forums.I Have had no funding or withdrawal issues or concerns, all been relatively painless compared to other brokers who have held onto my funds for seemingly no reason at all. Execution speed excellent.